Most of Delaware’s native pines are in its south, but white pines are planted throughout the First State. 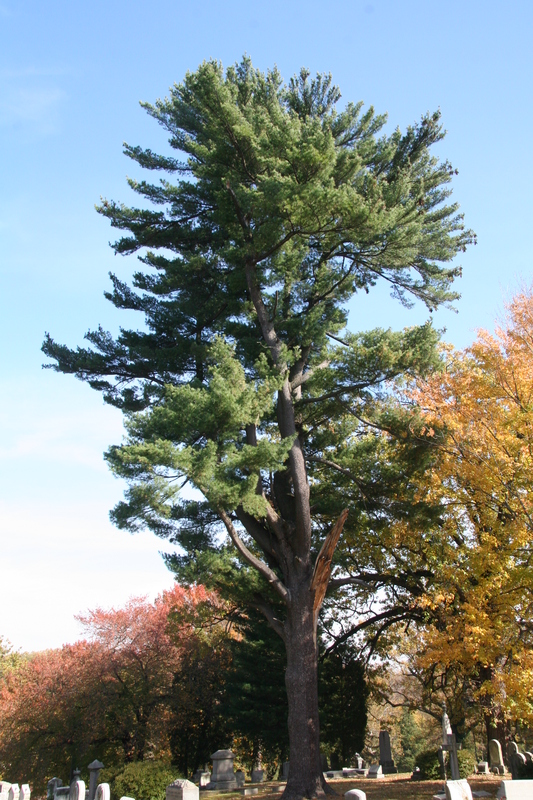 Eastern white pine is a long-lived soft pine that is capable of reaching heights above 200 feet and diameters of four feet. Its wood is light, straight-grained, easy to work, but not strong. It is often used in cabinetry, interior finishes, and for lumber. Eastern white pine needles come in bundles of five, each of which is 3 to 5 inches long. Rich in economic and historical significance, the tree is very good for reforestation and landscaping uses.